The Biggest Painting in the World 2020 Shinhidaka-cho was completed. 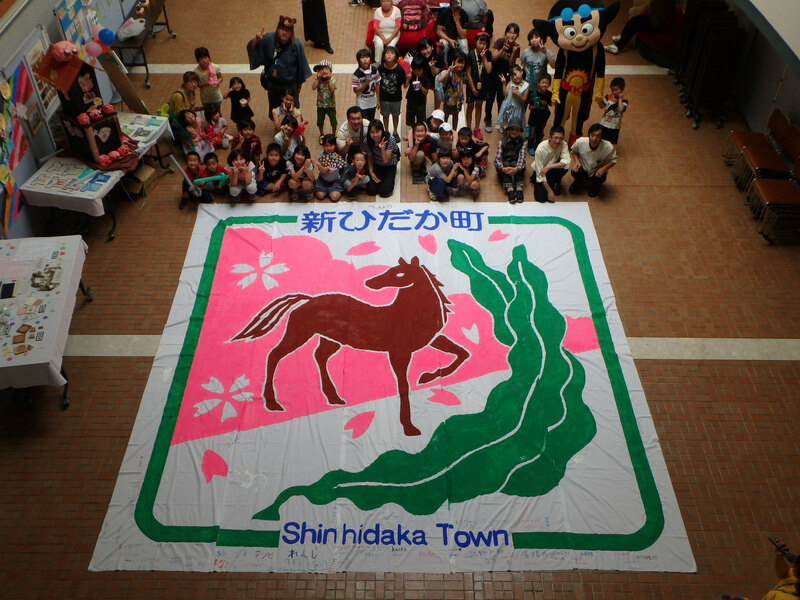 On August 19, the photos of the Biggest Painting in the World 2020 Shinhidaka-cho painted by the children of Shinhidaka-cho were sent to us from the board of education of Shinhidaka-cho, Hidaka-gun, Hokkeido. Now the pupils of 6 primary schools, which are Kosei, Shizunai, Yamate, Sakuragaoka, Higashi-shizunai, and Miishi Primary schools, gathered at Community Center of Shinhidaka-cho and completed one big painting. 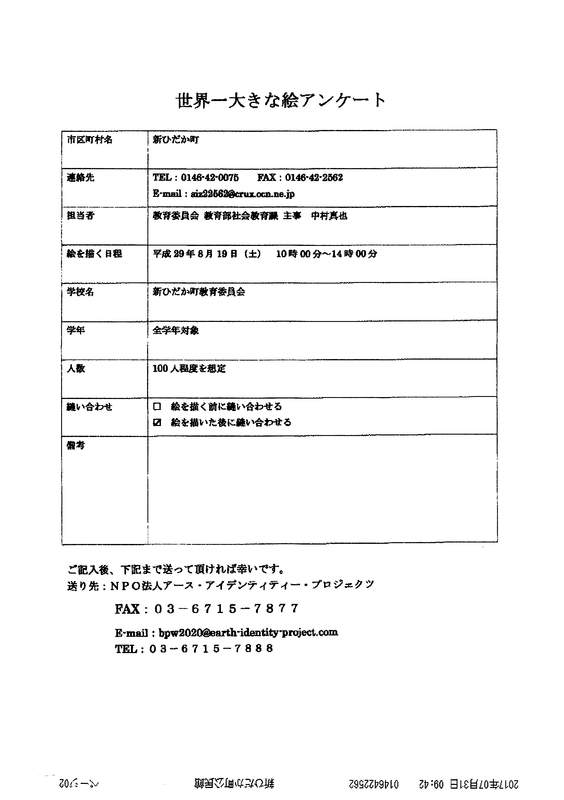 Delivered the cloths for the Biggest Painting in the World to Shinhidaka Town Board of Education, in Hokkaido.